Let’s have a look at the list post for the best skin toners for men with oily face and acne prone skin types. These skin toners will tighten and clarify the skin. Moreover, they also help regulate the oil balance while also reducing the open pores size temporarily. We at Men’s beauty Health site love this Jafra Oil control purifying skin toner because the product has a Hydro-Alcoholic Infusion that freshens the skin and controls the oil. This will help you to prevent the blackheads and whiteheads by keeping the skin pores clean and clear. This Jafra skin toner is also enriched with the Salicylic Acid and Pro Vitamin B5. 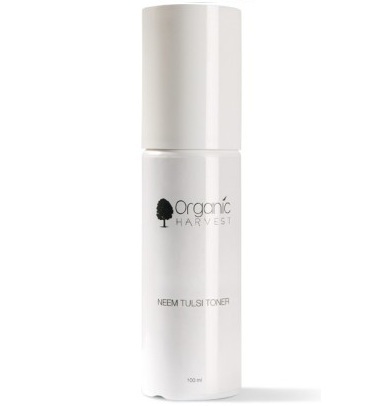 Organic harvest toner with the extracts and properties of neem and tulsi is very good. This clears the pores from dead skin, debris, dust etc and keeps the oil levels low. 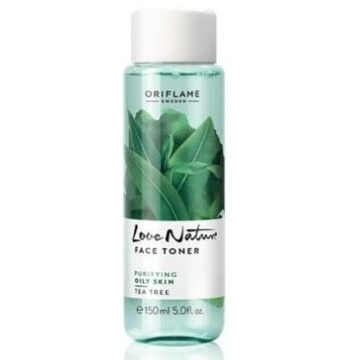 This toner will tighten the skin pores as well which is another reason why the pores secret too much oils on the face. Neem will prevent the occurrence of acne due to its anti bacterial properties. You should also check out the best Oil Control Facial Cleanser for men. 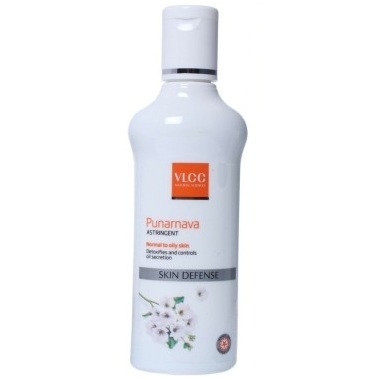 VLCC natural science Punarnava astringent is ideal for all the skin types though best suitable for the oily skin that is pimple prone and likely to get skin problems. This detoxifies the skin and also controls the sebum production on the face. The Body Shop’s entire Tea tree range is excellent for acne and pimples since this has tea tree extracts. This tea tree range consists of tea tree cleansing gel, toner, face mask etc. 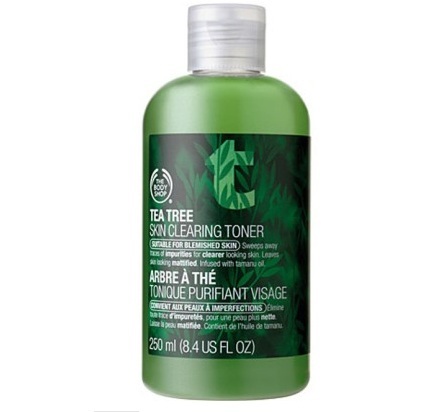 The Body Shop Tea tree toner is a refreshing toner that frees the skin from the pimples and acne breakouts. The effective oily skin toner clears the skin impurities and oils that causes the skin problems. This contains the organic tea tree oil. Men who go for bike rides will find that is tea tree rich toner will clear the dirt etc deeply that gets accumulated on the oily pores. You can also take a look at the Best Night Cream for Oily skinned men. 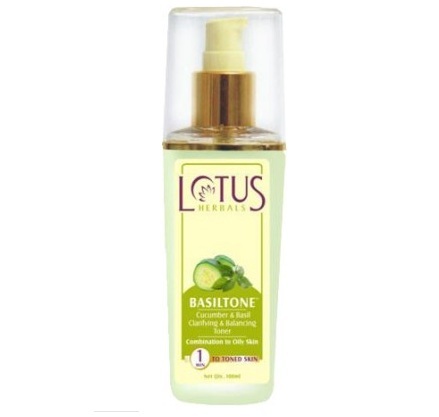 Lotus Herbals Basiltone Cucumber & Basil Clarifying & Balancing Toner is appropriate for the oily and combination skin. This skin toner is infused with cucumber and Basil Leaf extracts. The toner will help to purify the skin by penetrating deeply in the skin layers. This nourishes the skin and revives the oily dull tired skin. This will reduced the inflammation of the red swollen pimples and relaxes the skin. 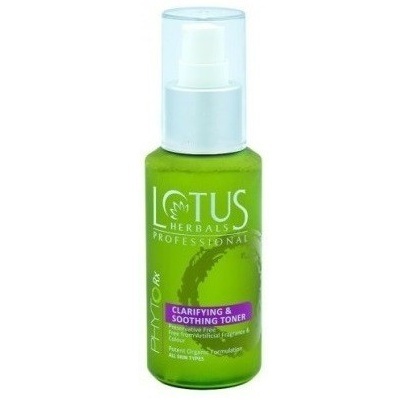 The Lotus toner protects the skin from the pollutants and the acne causing microbes. This toner restores the natural skin’s pH balance and also tightens the ski pores which make the skin look beautiful. 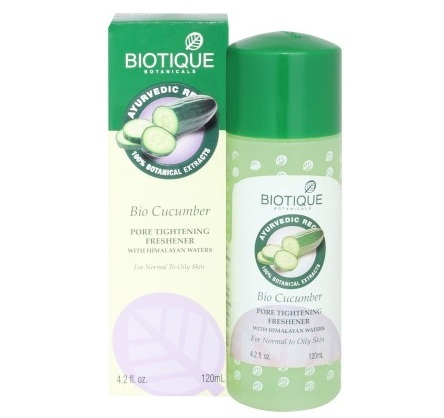 If you wish to tighten the skin pores since this has cucumber. Cucumber has skin tightening properties and this is why cucumber is used in a lot of toners for skin. Cucumber will also make the skin complexion fairer and cures the dark circles. Other than the cucumber extracts this skin toner also has the coriander, nutgalls, berberry, peppermint oil and mint extracts. All these are excellent to cure the oiliness and tighten the skin open pores. This will eventually reduce the oil secretion as well. This facial skin toner is good to maintain the moisture level too. This is a clarifying toner and a soothing toner a swell. This toner will revive the tired skin. This will have pure botanical extracts which will restore the moisture balance for a healthy looking skin. This has a unique hydrating formula that tones the skin so that the skin looks fresher and even toned. This will remove any excess oils that are left behind by the cleanser. 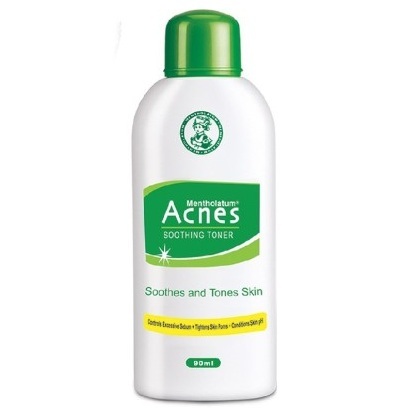 Acnes have an entire range of acne and pimple curing products. This toner is a soothing toner. This is because this will hydrate the skin and also controls the sebum secretion. It soothes the red inflamed skin. 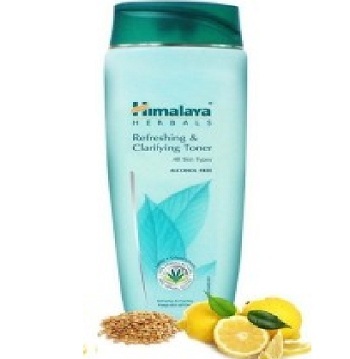 Himalaya clarifying skin toner is appropriate for all the skin type but for oily acne prone skin, this is ideal. Lemon extracts also reduces the open pores. 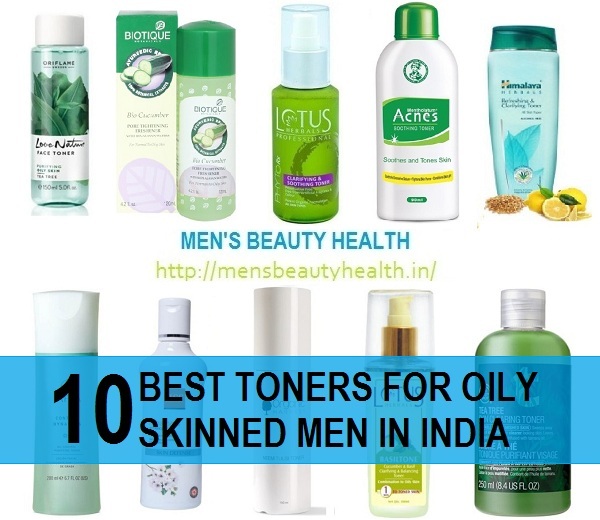 Now, what if you had chosen the right face toner for oily and acne prone skin but if you already have acne problem then you should also know about the Men’s anti pimple and anti acne creams available in India that works the best.